Situated in the heart of the Allegheny Mountains, Camp Anderson has served the region from 1926-2018. It was established as a scout camp in 1926, largely through the generosity of the late John G. Anderson, a Tyrone businessman. In February, 2016, the Laurel Highlands Council, BSA, decided to divest this property in accordance with their strategic planning. 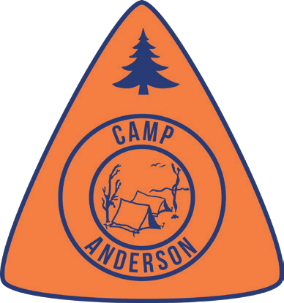 The camp was purchased and is now run by the Camp Anderson Corporation, a private nonprofit. Camp Anderson is located midway between Altoona and State College, off I-99, about 25 miles from each. It is near many historical sites ranging from Colonial Fort Roberdeau to sites of the Industrial Revolution and railroad heritage. It is a convenient place to camp if you want to visit local attractions such as DelGrosso's Park & Laguna Splash, Blue Knob Ski Area, Lake Raystown, and Penn State - all within a 30 to 40 minute drive. The facility offers great tent camping, a handicap-accessible site as well as several cabins for rent to meet your program needs. A primary trout stream runs through the camp and is a challenge for fishermen. It is a perfect place for a camping weekend, training center, reunions, weddings - the opportunities are endless.